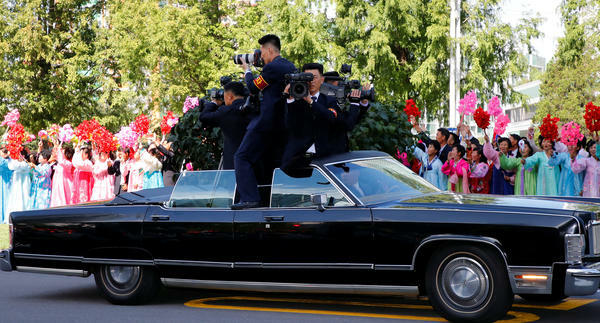 "Upon arriving to the airport in Pyongyang, President Moon and his wife Kim Jung-Sook [were] greeted by North Korean leader Kim Jong Un and his wife Ri Sol Ju on the tarmac as part of an official greeting ceremony. 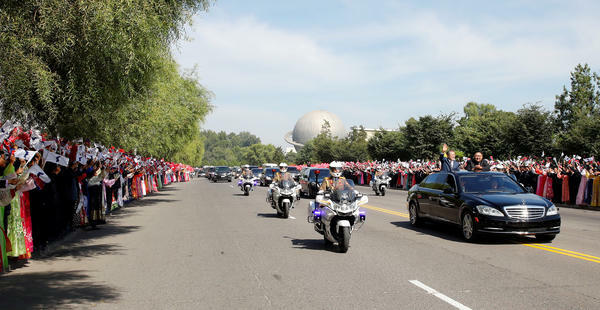 Crowds lining the tarmac cheered wildly and waved flags of a unified Korea." 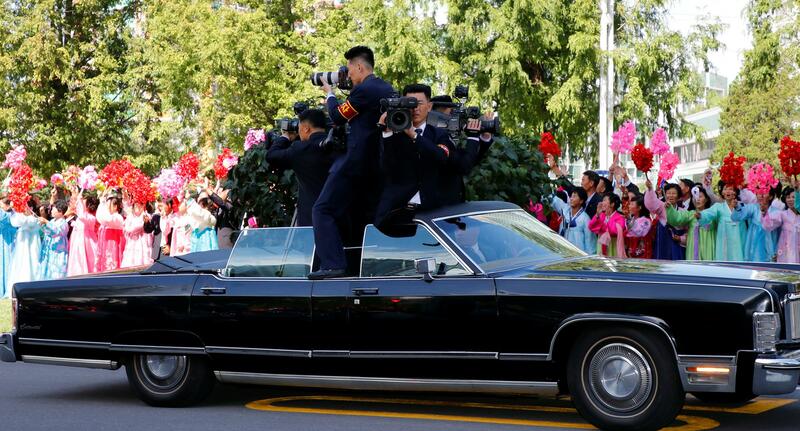 Photos from Pyongyang showed Moon and Kim viewing a military honor guard at the airport — and then Moon gave Kim a ride from the airport in his Mercedes Benz, which had been specially modified to add an open roof over the back seat. 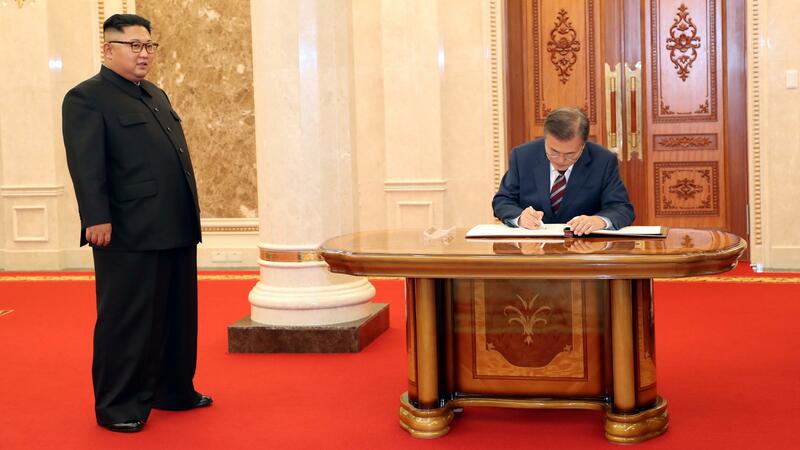 Luckily for the two leaders, it was a sunny and mild day in Pyongyang – but both of them could be seen trying to neaten their hair a bit as they arrived at the summit.